NetEnt Software, the leading provider of digital gaming solutions for online casinos, has released the second title from its fabulous Fairytale Legends Trilogy. The second installment of the slot game series is based on the age old tale of Hansel and Gretel. After the successful release of the first online slot game, Little Red Riding Hood, in October of 2016, the company is now hoping to mimic that response again with the new release. Fairytale Legends: Hansel & Gretel is a 5- reels and 10- pay lines slot game. The game was released optimized for personal computers and mobile devices. That means that punters can enjoy a round on the game no matter where they are. Players have another reason to be excited about the title. They can enjoy the game for as little as GBP 0.10 a spin. However, if they are feeling bold, they can wager the maximum bet of GBP £200 on a single spin. Once again, the developers have chosen a well- known fairytale as their inspiration behind the game. Punters will have to follow the heroes of the 2017 release deep into the woods, trying to find the candy house and stay away from the horrible witch. It is set in a deep dark forest, with the moon shining down on the main characters, Hansel and Gretel, who appear to the sides of the reels. The aim of the game is to help the children find their way out of the forest. The game, as expected, is filled with magical elements that have been beautifully animated. The symbols used in the game include the brother and sister; Hansel and Gretel, different coloured candy pieces, birds, treasure chests scatters and the Fairytale Legends logos. Spinners only have to only land three matching symbols on adjacent reels and on an active pay lines in order to win a payout. The logo of the title serves as the most valuable symbol of them all. If a player lands five of these symbols across any pay line, they are rewarded 40 times their initial stake. There are also Stacked Wild symbols that appear only on reels 2 and 4. Whenever a Stacked Wild symbol covers either reels 2 or 4, the player gets a re-spin. The symbol can also appear on reels 1 and 5 when the Stacked Wild Re-Spin feature is activated; landing another Stacked Wild results in the player receiving another re- spin. This continues until no further Stacked Wilds land on the re- spin. Fairytale Legends: Hansel & Gretel also features three other random features that can be triggered in the base game. A cute little fairy follows the player throughout the adventure, bringing about these features. First of these is the Fairy Wonder Spin, where a cluster of five to nine game logo symbols appear as an overlay for one spin. This can result in the player taking home a win that is up to 400 times their initial stake. Second on the list is the Fairy Surprise feature. This can only occurs, when a players lands on a non- winning spin in the base game. When this happens, a symbol is randomly chosen from the screen and other symbols start turning into the chosen symbol. This continues until the player gets a winning combination. This feature can get players a win that is 31 times their initial stake. Finally, there’s a Fairy Wild Spin feature. With this feature, two full stacks of wilds can appear on reels 1, 2, 4 and 5 during a base game spin. This then triggers the Stacked Wild Re- Spin feature, which as mentioned, can trigger a win of 400 times the player’s initial stake. The treasure chest bonus symbol is another one that can appear simultaneously on reels 1, 3 and 5 in the base game. The game offers three main bonus features. Landing on the treasure chest icon can trigger one of these bonus features. These include Candy House Bonus feature, where the players gets to pick three out of 15 items. Each of these items give players a certain multiplier. This feature can lead to a win of up to 120 times the player’s total stake. It is safe to say that there is plenty to play in the second release of the Fairytale Legends trilogy. The company expects to release the final part of the trilogy sometime later this year. Simon Hammon, the Chief Product Officer of NetEnt Software commented on the release and announced the imminent arrival of the final part of the trilogy. NetEnt Software is a software development company and is considered to be among the best in the casino gaming market. 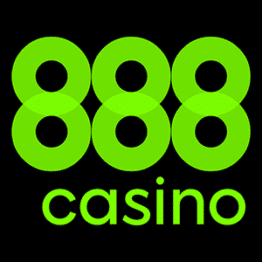 They are responsible for powering a huge range of different gaming categories, such as the NetEnt casino, table games, video poker games, online scratch cards, classic slots, and their most popular venture, the NetEnt video slots. NetEnt games are very challenging for the player and beautifully designed. Besides providing for a seamless, flawless and therefore, very stable game play, NetEnt also boasts secure and ‘tamper- proof’ underlying software. Most of NetEnt’s current games are based on Flash technology. This means that players can enjoy NetEnt games from a range of casinos without having to download any of their software to access the material. While the Flash games were a huge improvement compared to the prior technology used by online casinos, it too had it limitations. As a result NetEnt began developing products that could use the HTML5 technology. This not only allowed the developers to fully explore the boundaries of gaming innovation but also helped make their games compatible with almost every available device out there. The first HTML5 games were designed for the mobile platform. However, in December of 2014, NetEnt came up with their first desktop game in HTML5. This was the video slot game, The Invisible Man. All of the new NetEnt video slot titles since then have been based on the HTML5 technology. Therefore, they are playable on both desktop as well as mobile devices. NetEnt, as a company is known for expanding their portfolio of games on a monthly basis. They introduce new games with innovative features and bonus games regularly. The company also offers a live casino software, ‘NetEnt Live Casino,’ that players can use to access classic casino and table games. These games are hosted by real life croupiers and dealers who are connected to the players using a live streaming video connection.